Last weekend I was wandering around the Saturday Market, shooting pinhole (of course) and found the tent of artist Aaron Voronoff Trotter. He was selling his hand-drawn playing cards. I was aware of his Portland I deck but hadn’t seen his others. He was selling a new one: Secrets Of Portland – all in color and all featuring obscure places around the city. Of course I bought it. I thought it would be a nice complement to what I post here. Looking through the deck I’ve noticed that many of the Portland locations that I’ve posted about are in here! So it’s perfect. I thought it might be fun to pick a card and then just go explore whatever card I choose. 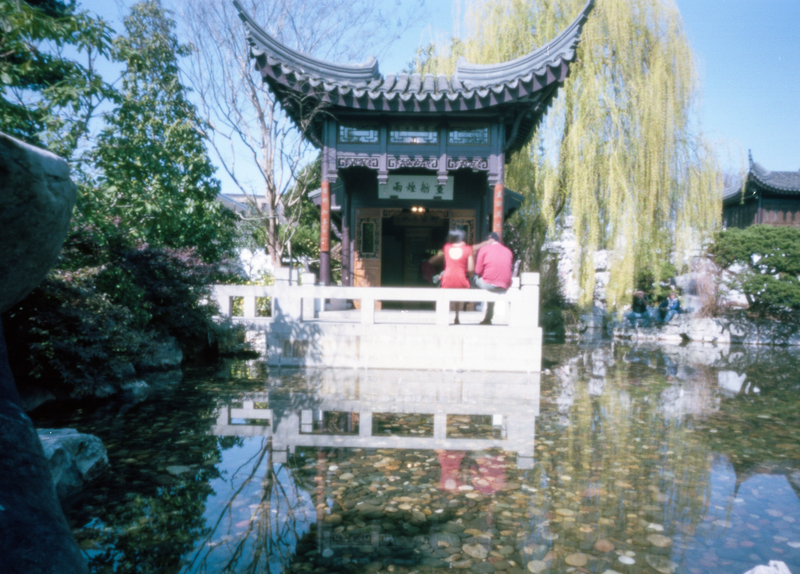 Let’s pretend I randomly chose the 5 of Diamonds and that it was the impetus for my adventure to Portland’s Lan Su Chinese Garden, anachronistically, a few months ago, shall we? Ok.
5 of Diamonds: Happiness and success. A change for the better. A birth, or good news for a child. A good time to start new projects. 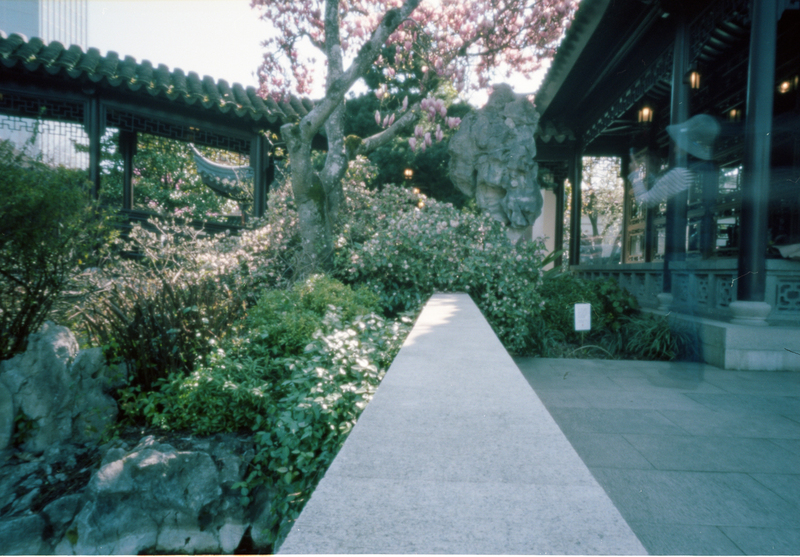 I had to walk through a sketchy part of town to get here but once inside the walls of the Lan Su Chinese Garden I felt like I was inside an oasis. And, indeed, I was. It is beautiful here. One can wander around and look at the beauty around them but they are missing out if they use only the sense of sight to experience this place. The paths are meant to we walked on barefoot, for example, so you can experience the feel of concrete patterns on the bottom of your feet. 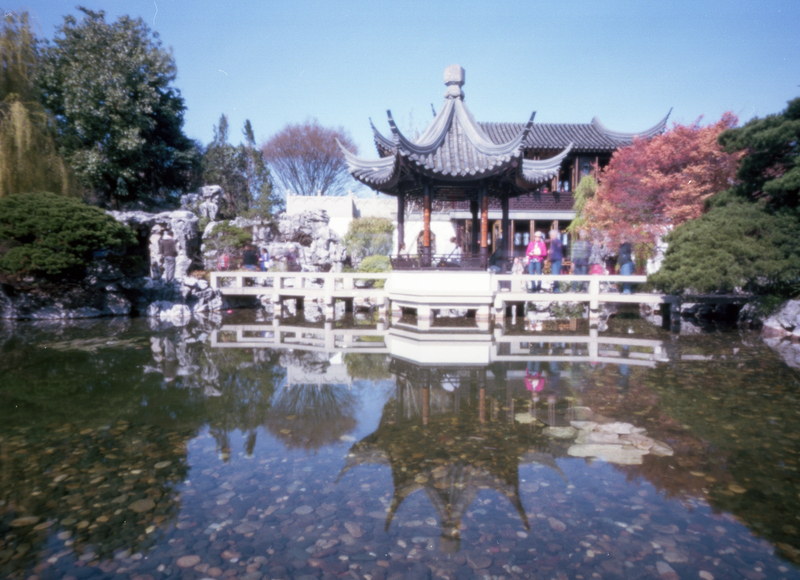 The garden was built 14 years ago to recognize Suzhou, Portland’s sister city in China. 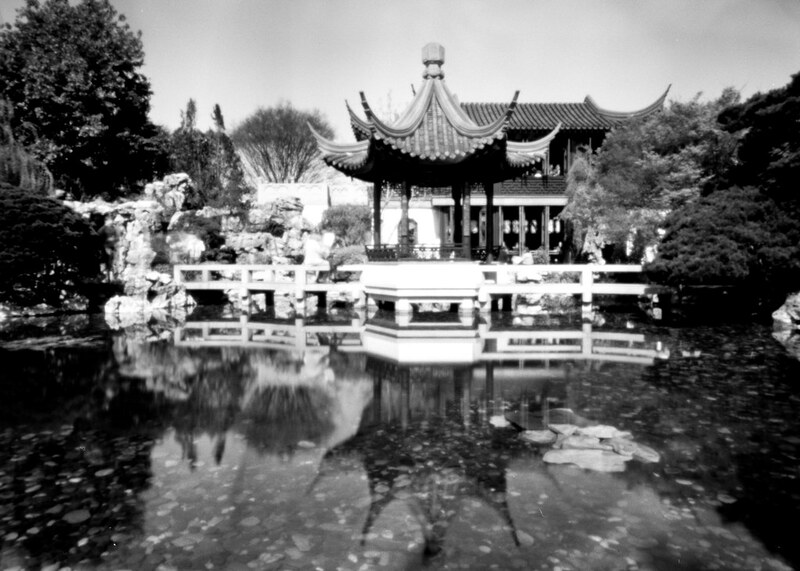 The name of the garden is a mashup of the two city names: Lan = Portland, Su= Suzhou. Clever! When I was here I used my new Zero 45. I am still trying to get used to this camera and I believe this was my first outing with the 120 roll back for it. I tried all of the various options on this camera: with and without the extra extension frame. Zone plate. Etc. Unfortunately, I don’t know what I did for each of these photos. I’m afraid this is the roll in which I cave and become a notebook user. Yes, I understand now, the need to use a notebook. Camera: Zero Image 4×5 with Graflex “23” rollback and 1 extension frame. You can learn more about the Secrets of Portland Playing cards (and pick up a deck for yourself) here. That looks like an interesting place. Love the shots! Thanks Inge! It’s really a nice place!